ChicExecs secured Gratitude Glass Jars on TODAY. Gratitude Glass Jars are about capturing the spirit of living, life events, moments, memories and words of love. 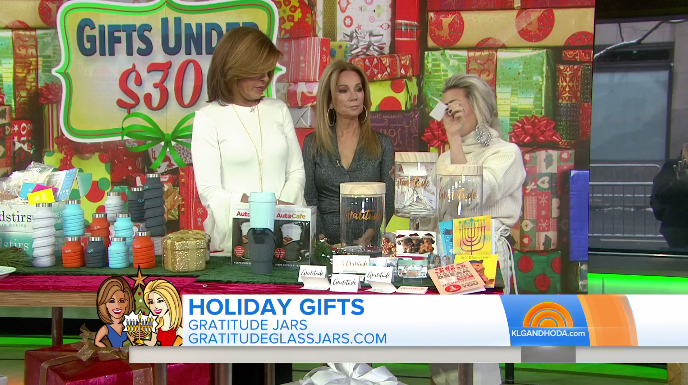 Shop at gratitudeglassjars.com or on Amazon.com.